I was interested in them, so I looked it up. http://carcapsule.com . Looks really cool, but fairly expensive. 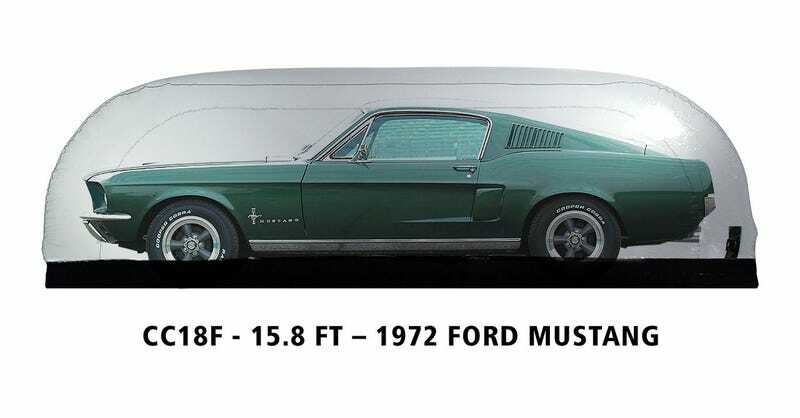 That Mustang size is $429. But prices are from $359 - $489 for this kind. There is also the outdoor one and the showcase one.